Find the range of square root functions; examples and matched problems with their answers at the bottom of the page. The range of a function y = f(x) is the set of values y takes for all values of x within the domain of f.
What is the range of f(x) = √x? 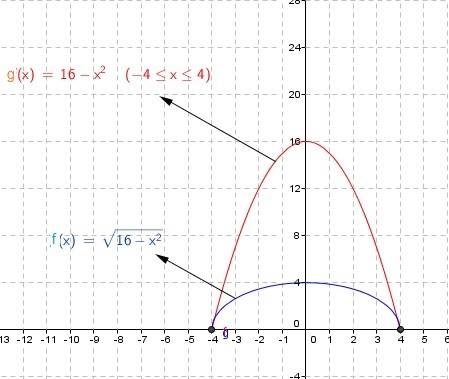 The range of function of the form √x + k, (see red and green graphs below) is given by the interval:[0 , +∞). Right and left shifts do not affect the range of function. Fig1. - Examples of Square Root Functions. We know, from the discussion above, that the range of function f(x) = √x is given by the interval [0 , +∞). Fig2. - Range of Square Root Functions. [ √ 0 , √+∞) = [ 0 , +∞) . See graph below for better understanding. Fig3. - Range of Square Root Functions. 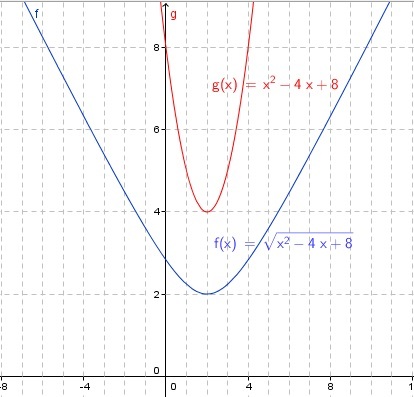 Since the discriminant is negative, the quadratic expression is either positive or negative for all values of x. 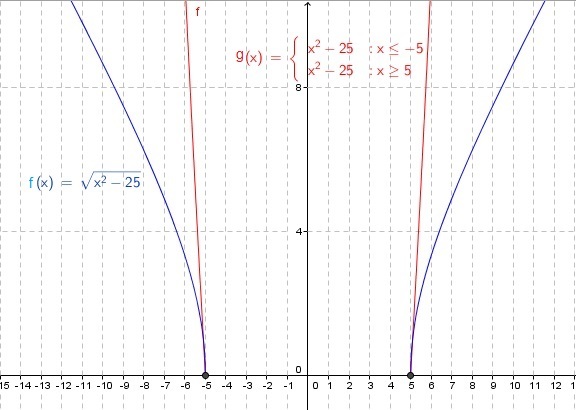 A test with x = 0 reveals the expression x2 - 4x + 8 is always positive and therefore the domain of the given function is the set of all real numbers. [ √ 4 , √+∞ ) = [ 2 , +∞). See graph below for better understanding. Fig4. - Range of Square Root Functions. Find domain and range of functions, Find the range of functions, find the domain of a function and mathematics tutorials and problems.